Can home-grown protein replace bought-in concentrates to reduce feed costs? Chloe Palmer hears the advice on the best crops for different systems. Bought-in feed is one of the single biggest costs for beef and dairy farmers, so finding ways to reduce this bill is a priority. Weighing up the options for growing protein crops may enable some farmers to replace at least some bought-in concentrate with cheaper, high quality feed. The best choice of crop will depend on the location of the farm, soil type and the availability of equipment and labour. It is usually possible to grow at least one high protein crop on most farms to help boost the nutrient value of the forage ration. David Donaldson, senior nutritionist with the Dairy Group, believes crops such as lupins, lucerne, peas and beans can be grown successfully in many areas and replace some of the soya in a dairy cow ration. Lupins are a high quality protein source, containing typically 33-35 per cent crude protein. They have an excellent level of bypass protein and good quality amino acids, in particular lysine, which is limiting in many maize byproducts. Lucerne is a popular option in drier areas but it performs poorly on wet ground and prefers base rich soils. It has a high protein content but tends to be lower in sugar, so the use of an additive will normally be necessary when ensiling it. Lucerne will yield poorly in the first year after establishment, typically about 7.5 tonnes per hectare (3t/acre) dry matter, but in the following four to five years it can give yields of up to 40t/ha (16t/acre). Soya is an option in warmer and drier areas of the south of England but it is rarely feasible north of the M4 corridor. Soya costs about £350/t so growing it on-farm can represent a considerable cost saving. However, it should never be fed to ruminants unless it has been heat treated. Where growing protein crops is not possible, Mr Donaldson suggests sourcing good quality peas and beans from arable neighbours. 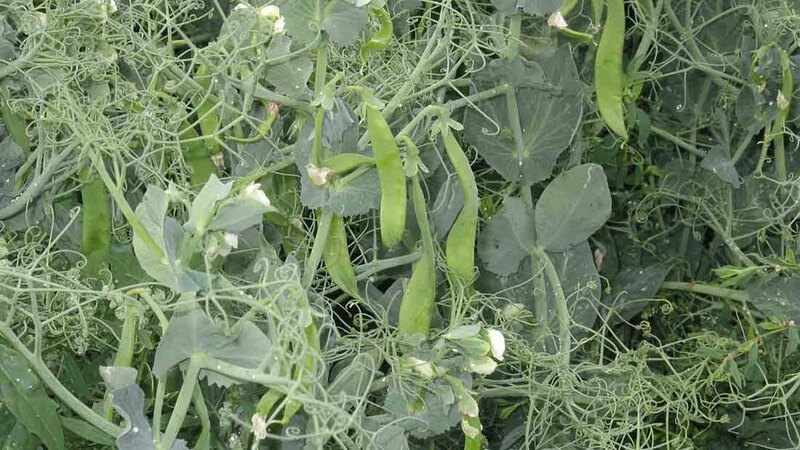 Peas and beans are a good source of protein and high levels of starch can aid rumen function and be included in the diet to boost protein content. Mr Donaldson advises adding no more than 2-3kg of peas and beans to the daily ration of a high yielding dairy cow. Transition cows require a better quality protein than peas and beans because of their reduced appetite when close to calving. A maximum of 1kg of peas and beans should be fed to these cows daily. Clover in grass swards will increase the protein content of grazed and conserved grass. Research by Taegasc in Ireland shows the intake of grazing animals increases when white or red clover is included in the sward and milk yields also increase. Remember, there is a risk of bloat when cows graze clover-rich swards and any changes to diet should be made gradually. Mr Donaldson says all legumes will fix and return about 200kg of nitrogen/ha (80kg/acre) to the soil and this is typically what many farmers apply to a grass sward. The deep-rooting characteristic of many species can also help to remediate compaction and the dense rooting network adds organic matter to soil. Agronomic issues – how will the crop fit into the rotation? 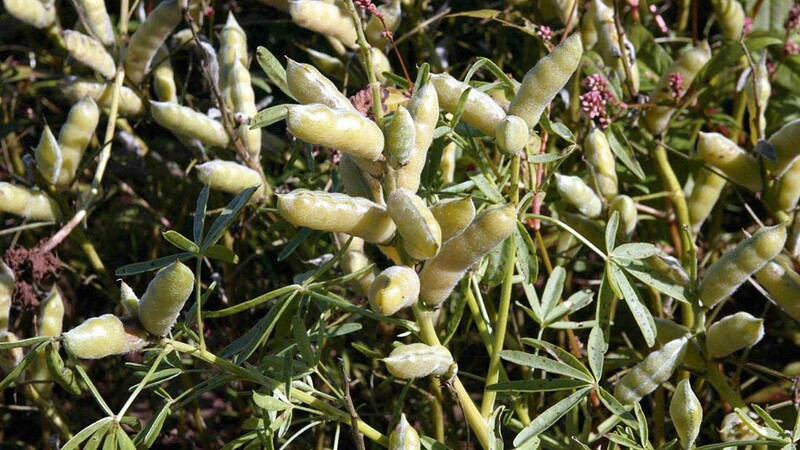 Bi-cropping usually combines a spring-sown cereal such as wheat, barley, oats or triticale, with a spring-sown legume crop, such as peas or lupins. The cereal crop provides energy in the form of starch and the legume provides protein. Modern harvesting machinery allows the crops to be harvested when nutrients are at their optimum. Crop selection, weed control and careful harvesting and ensiling are all key to maximising yield and quality when bi-cropping.